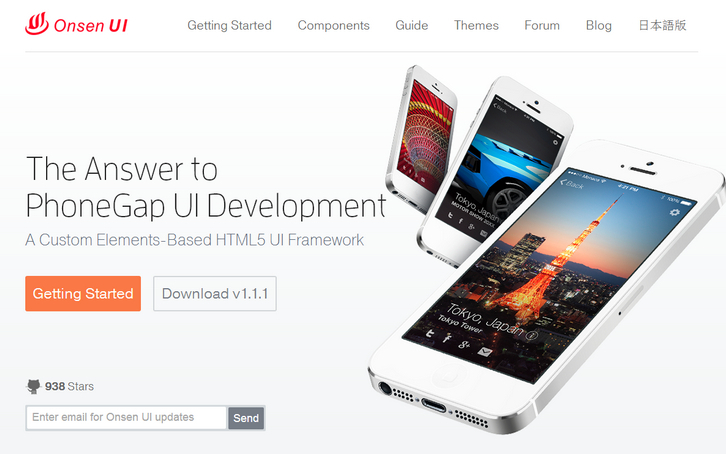 Onsen UI is a Custom Elements-Based HTML5 UI Framework for Building your Mobile Front End. Onsen UI makes building applications simple basing on the concept of Web Components. Applications can be build using HTML tags web developers already know. It is built on top of heroic AngularJS and performance craving Topcoat. Onsen UI is designed and implemented to deliver unprecedented user experience for your apps. Onsen UI is PhoneGap / Cordova Friendly, which is a perfect solution for developing hybrid apps. That’s because our priority is performance and ease of use. Onsen UI is fully open source, and never locks you in. It also provides the option of deploying your apps to the server to use as a tool to build a performance website.